Did You Know That Chiropractic Can Help With Shoulder Pain? 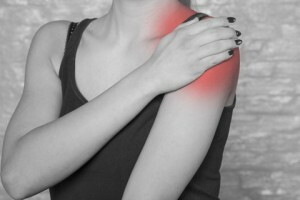 Looking for a solution for your shoulder pain? Did you know that chiropractic can help with chronic shoulder pain? Recently, we acquired a new patient who had been suffering with shoulder pain for 7 years! Her pain in her shoulder start after she attended a concert while clapping her hands above her head. Who knew clapping could be so painful! Over the years, she has tried multiple therapies to alleviate her chronic discomfort. The therapies were helpful but the pain always lingered to some degree. And, some therapies were very painful to receive. She came to me because her friend was seeing us and was experiencing excellent healing results. We assessed the tension in her nervous system with a chiropractic exam and computerized testing. The examination revealed tension in her spine and nervous system. We recommended a treatment schedule for her to follow. She received one adjustment and could already feel the difference in her shoulder. On her next visit, she claimed to have slept on her shoulder which was something she was unable to do for seven years. After a week of treatment, she said this was the longest period of time she had gone without pain in her shoulder. After one month of care, still no pain in her shoulder, and she is feeling better than she has ever felt in the past. Amazing! Who knew chiropractic could help with shoulders. Shoulder, neck pain and back, rob people of enjoying life to its fullest. You don’t have to suffer for years with pain. At advanced Wellness Chiropractic, we use a technique called Torque Release Technique (TRT) that is gentle and highly effective for providing you with long term healing solutions. You deserve a pain-free life. Let us help you re-discover a happier and healthier version of you.